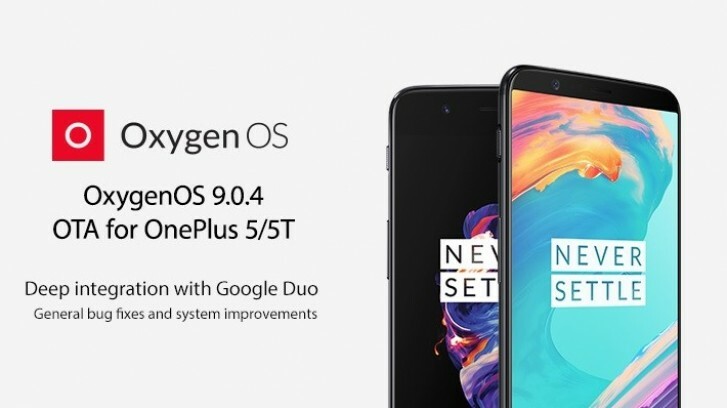 Over two weeks ago, OnePlus rolled out OxygenOS updates for OnePlus 6 and 6T which brought in deep integration with Google Duo to these smartphones. Now the company has extended this feature to its 2017 smartphones - OnePlus 5 and 5T. OnePlus has started seeding OxygenOS 9.0.4 update for OnePlus 5 and 5T now. Duo is now integrated natively with call logs, dial pad, contacts, as well as the SMS app. This lets you quickly make a video call via Duo when you are using any of these functions. OnePlus has promised to bring this feature to OnePlus 3 and 3T as well with Android Pie update, but we don't know when exactly will that happen. In addition to bringing Google Duo integration, OxygenOS 9.0.4 update also contains some bug fixes and Android security patch that's dated January 1, 2019.